As with so much else surrounding the increasing presence of automation in our lives, the term robo-adviser is somewhat misleading. If only it would be as cinematically sci-fi as an android sitting at a desk ready to talk you through a retirement plan. Instead, a robo-adviser is yet another algorithm. Like so many already humming along in the background noise of modern existence, this one intakes certain information, processes it into a profile, and then uses that profile to help users make decisions. In this case, investment decisions. The kind that, until fairly recently, were the sole province of humans. Robo-advisers have been around since the turn of the century but were initially only available for use by professional wealth managers, who used them as tools to help their customers invest. In 2008, the first robo-adviser available for use by non-professionals came online: Betterment. Betterment is still around, and has more assets under management, or AUM, than any other standalone robo, but has since been joined by numerous others. The big legacy firms have also gotten in on the act with their own robo-offerings. In terms of AUM, Vanguard and Schwab are two of the biggest. Robo-advisers currently have about $70 million AUM, versus the $32 trillion total investable assets in the U.S. Not a very big slice of that pie, yet. But with 24/7 online access, little to no capital needed to open accounts, and low fees, tech savvy and typically poorer Gen Xers and Millennials love them. And as these two key demographic groups age and accumulate more wealth, their influence and style of investing will only more and more come to dominate the investment industry: slowly but surely pushing out the Baby Boomers, who still rely primarily on humans to help them invest their considerable wealth. All this to say that robo-advisers are here to stay. If your employees aren't already using them to make personal trades, chances are they will be. Sooner rather than later. With that thought in mind, here's what your robo-trading employees should be aware of as they navigate the brave new world of algorithmic advising: the things to look out for and what the SEC expects of the firms offering them. In May 2015, the SEC issued an Investor Alert , which gave a broad overview of what it termed automated investment tools and offered fair warning in their use, including: understanding terms and conditions; being aware of a tool's key assumptions; and being careful what personal data you as a personal trader surrender in the online questionnaire. In November 2016, the SEC held a FinTech forum, out of which came an Investor Bulletin. In it, automated investment tool got an official upgrade to robo-adviser, and the text further called out the potential pitfalls of self-directed algorithmic investing. The forum also produced a Guidance Update, giving the firms that employ robos official SEC guidance on how they needed to design their systems. The first thing anyone using a robo-adviser needs to know is how the SEC views them in the grand scheme of things. And that is, whether human or algorithmic, an adviser is an adviser. So like any investment adviser, robos must be registered with either the SEC or a state authority. Additionally, robos must meet the same fiduciary standards any adviser must meet under the Investment Advisers Actof 1940. Until the advent of robo-advisers, all interaction between investor and adviser was human-to-human: conducted either in-person or over the phone, and supplemented perhaps with snail mail or email correspondence. Somewhere in there, investor and adviser had to trade all the information necessary for the investor to have his or her investing needs properly met and for the advisor to be doing his or her fiduciary duty. Replace one side of this equation with an algorithm and things really get interesting. Robo-advisers have to perform all the duties of a human investment adviser entirely through an online interface. Depending on the offering, there may be limited human interaction or none at all. 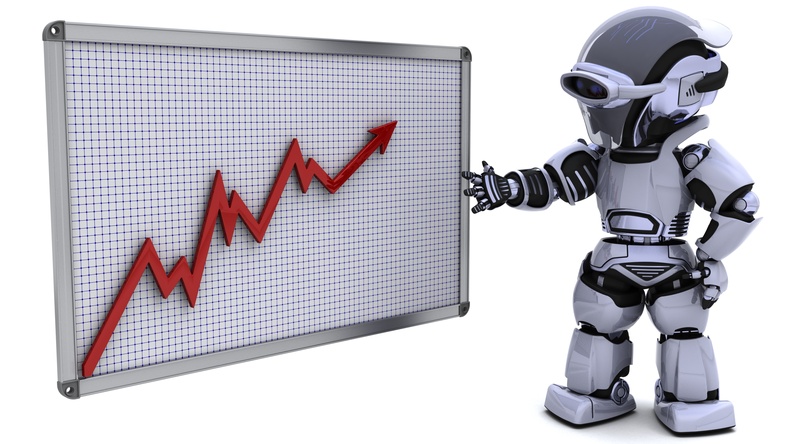 Due diligence on the part of robo-traders is therefore essential. They should have a clear understanding of how a particular robo-advising model works. (They won't all work the same.) They need to understand the robo's assumptions and limitations. The circumstances under which the algorithm might be overridden. A description of any third-party involvement in the robo-model. A thorough explanation of any fees or costs. The degree of human involvement, if any, in the management of client accounts. Robo-investors must understand the scope of the investment advisory services offered. That is, an investment plan is not the same as a financial plan, which takes the investor's entire financial picture into account. This brings us back to fiduciary duty. An adviser has an obligation to always act in the best interests of its clients and to provide only suitable investment advice: suitability based on the client’s financial situation and investment objectives. Since a robo employs limited if any human interaction in its assessment, an online questionnaire must on its own entirely get the job done. Per the SEC, the typical robo questionnaire isn't so typical. They tend to vary greatly with respect to length and the types of information requested. Some robos generate a recommended portfolio based on a client’s age, income, and financial goals. Others may focus on investment horizon or risk tolerance. Some don't provide the opportunity for clients to add additional information they may feel is relevant, or offer the ability to ask follow-up or clarifying questions. Finally, some robo-advisers give clients the chance to select portfolios other than those that have been recommended, and this brings us back to fiduciary obligations. A proper fiduciary would consult with the client over his or her choice in the case of a traditional adviser-investor relationship. But what's a robo to do if the client goes against its recommendation? Deny the client's choice? Accept it? Even though not consulting further with a client runs counter to what a fiduciary is supposed to do? Finally, the SEC requires that robo-disclosures mustn't be overly dense and must be written in plain English. This is a welcome requirement, as the platform must do all the heavy lifting in this high-tech investor-advisor relationship. As such, if anything is unclear after a reasonable amount of research and due diligence, the investor should probably move along to the vetting of another robo. There are plenty out there. If it helps, just picture offices full of androids, patiently awaiting a call. StarCompliance has almost 20 years of experience developing compliance software and partnering with clients to optimize their compliance programs. As a regtech business itself, Star is no stranger to the quickly evolving world of robo-advising and all things fintech. To find out how Star can help optimize your compliance program, book a FREE demo now.